When teenage country singer Scotty McCreery won American Idol Tuesday night, it took some people by surprise — but the folks at Seattle-based startup Likester were not among them. Likester predicted McCreery would win Season 10 of American Idol way back on April 13. 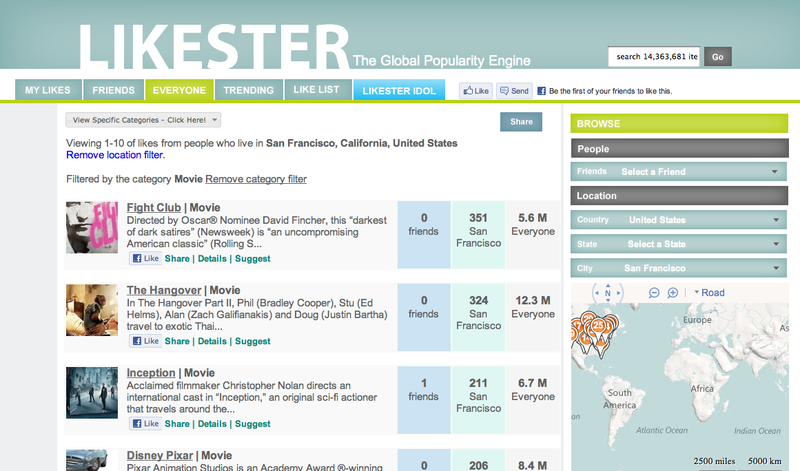 Likester taps into Facebook’s public data to make a global database of who likes what, where they are from, and when they like it. When a user signs into Likester and accepts the privacy conditions, they give the company permission to access information about what they and their friends have “Liked” on Facebook. 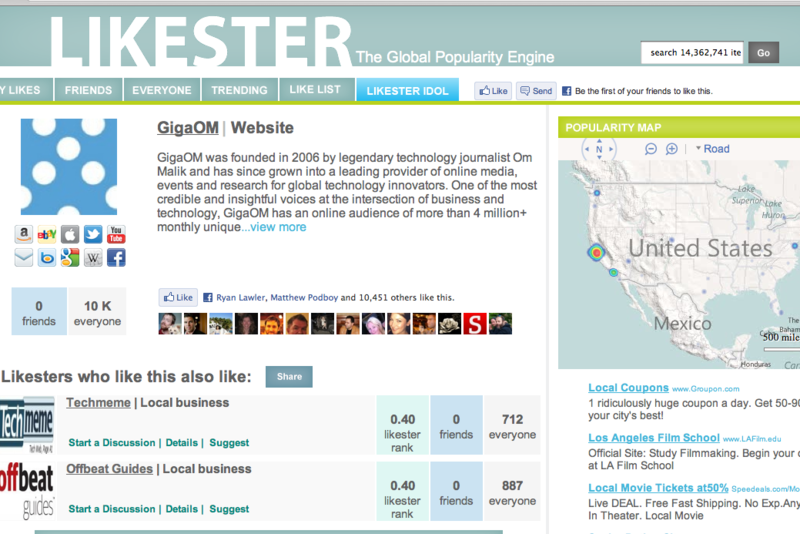 Likester then aggregates that data in a digestible format that can be viewed by topic or geography. I’ve embedded two screenshots of Likester at the bottom of the post. Fueled in part by its American Idol analysis, Likester is growing at a rapid clip, with “thousands and thousands” of users having joined in the past three weeks, founder Kevin McCarthy told me. 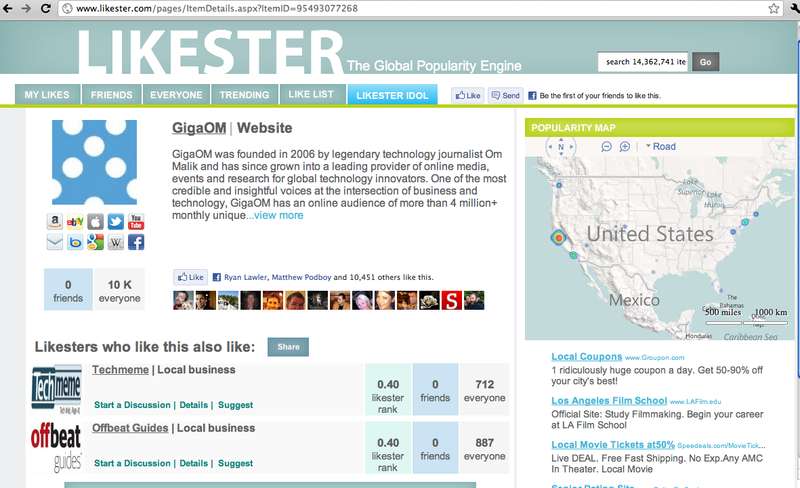 The site is only as good as the amount of data it can aggregate, so Likester hopes to get better with time. Clicking around on the site, I was really impressed with the amount of data it already has, and especially the easy-to-read format in which it’s presented. Likester currently generates revenue through ads, but McCarthy tells me the company may soon get rid of advertising altogether to focus on building a “freemium” business model. Under this model, the basic version of the site would continue to be free, and Likester would offer a premium version of the site with more data analysis tools to professional users like brands, marketers, and researchers.